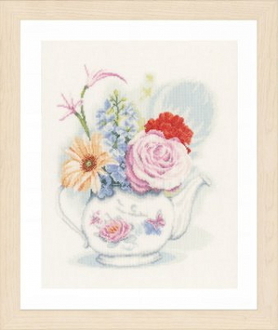 A lovely teapot filled with flowers to cross stitch. Design size: 11.2"w x 13.2"h (28cm x 33cm). 30 count Linen fabric, 100% cotton DMC threads, needle and chart.